People love to learn different things, explore new activities, and push themselves beyond their comfort zone and their limit. Certificates work out as a special piece of paper that authenticates these experiences. 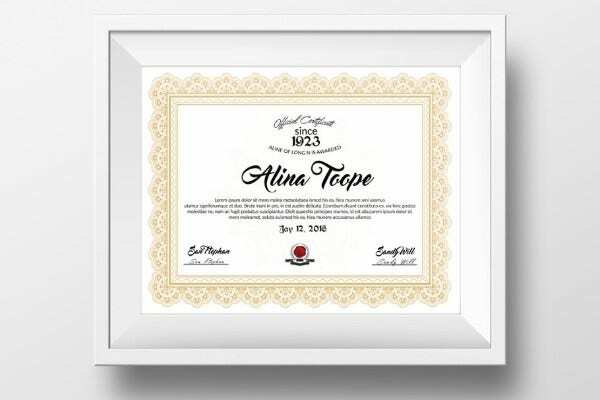 These certificates serve as memorabilia or as a requirement material sooner or later. To be able to make an effective experience certificate, there are five steps you need to follow, and this article will help you out with that. 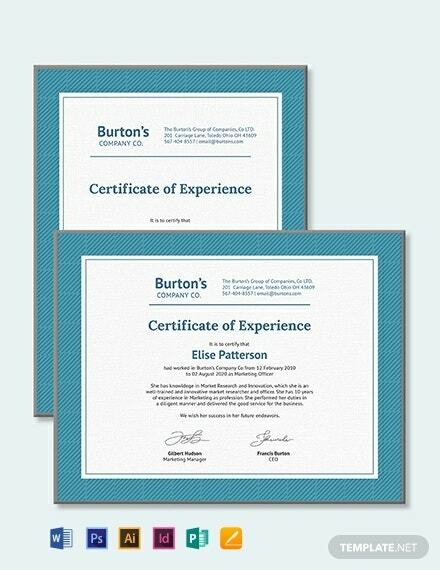 An effective experience certificate doesn’t just contain a name and two signatures at the bottom. Some basic key information includes name of award, awardee’s name, the award giving body, date and place where it was given, and authentic signatures of those in authority or from the administration. The central theme of the certificate will focus on what type of job or activity was done or taken. The font types, graphics, and overall layout of the certificate will also revolve around this theme. Make sure that the graphics and the vectors you will use are relevant to the activity. The difference between starting on a blank canvass and using a template is that with templates, the content and designs are pre-formatted. If working on the latter one, make sure to observe visual hierarchy in arranging the texts, and choose a font type that is legible. With the designs, choose one that is relevant to the theme, and make sure that the graphics are royalty free or stock photos. When working with certificates, the rule is to always keep it short and simple. By keeping it short, means not to put unnecessary information in the template. 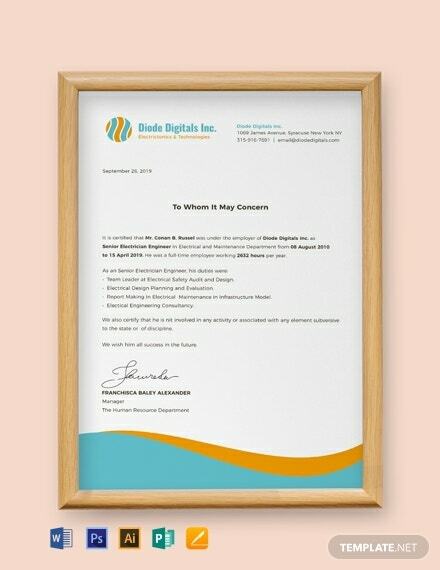 The design should also be kept relevant, simple, and professional, remember that it is a certificate. Don’t get sidetracked and end up overworking on the design. After working on the layout of your experience certificate, show your template to a friend for some feedback. Make some necessary adjustments if there are any. Do a print preview of your final output and print a mock up before printing multiple copies. Print your template on special types of paper such as scented ones, as long as it’s thick stock. Changing careers can get quite challenging, so to help out your employees, hand them with a effective experience certificate template such as this Job Experience Certificate Template. This template would be very useful as this will effectively authenticate any employees recent working experience. This template is well-written and observes visual hierarchy with its arrangement. 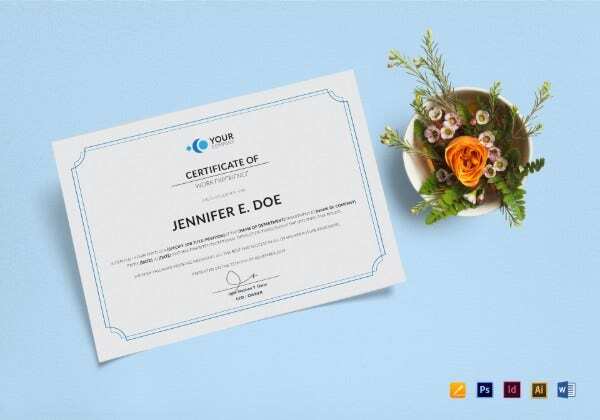 Grab this Work Experience Certificate Template for a simple and efficient certificate template. The neat background makes it more possible to focus on the content rather than on the design. Effectively promote a person’s working experience with this template. Make it yours today. Here is a printable experience certificate template that can be given to any outstanding worker or colleague. This is our Professional Experience Certificate Template which is ready-made and very accessible with its file formats presented. It also uses high-quality content and graphic elements. Download our best Free Nursing Experience Certificate Template. A high quality template such as this which can be gotten without having to get any money from your pocket should not be missed. This template uses royalty free graphics which can be fully customized and edited to suit your preferences. Get this highly editable and downloadable Free Electrician Experience Certificate Template that you can customize and edit for your own benefit. 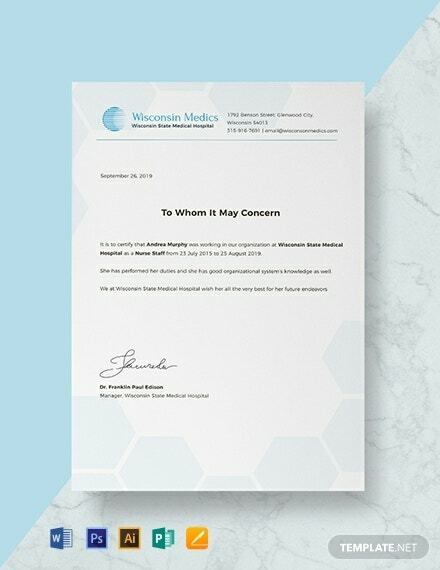 This great template comes with an excellent design and well-written content for you to have the best certificate. Download this high quality product that you can print in various sizes. Provide your business with a document that can certify an electrician’s services and working experience with the use of this Free Electrician Experience Certificate Template. This file can be easily downloaded on any modern device. What makes it more convenient is that it can be edited through various editing software. 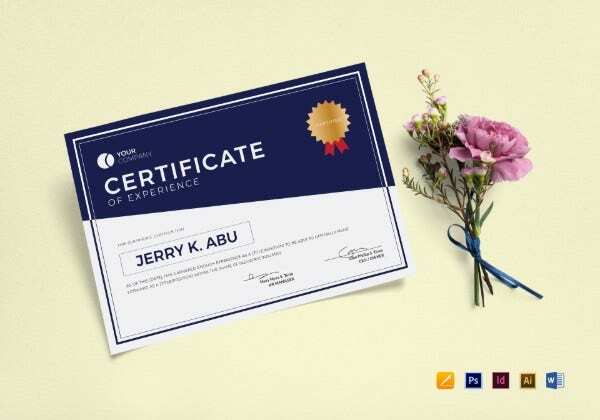 This Simple Experience Certificate Template is designed for easy printing through your printer at home or at the office. Freely use this pre-formatted template which can be easily edited and customized to your preference and need. This template only uses high quality graphics to give you the best product. 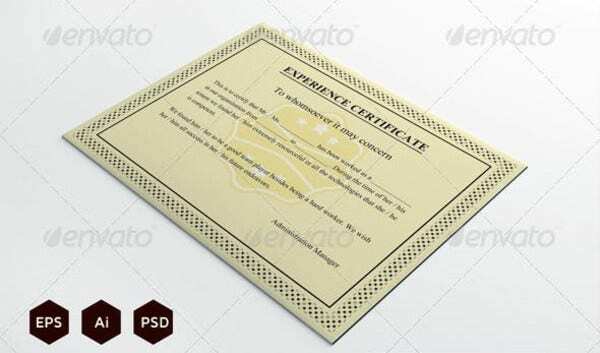 If you are in need of a template with a classic and vintage look, then here’s our Vintage Experience Certificate Template just for you. It comes with a professionally-designed content and graphic files that you can customize according to your need without hassle. Don’t let this template just pass you by!